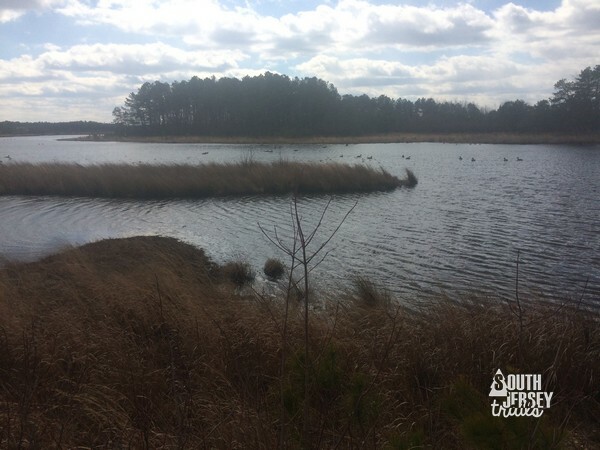 A nice hike through an old sand mining operation, featuring beautiful pines, great birding, and a massive lake that teems with birds at all times of the year. Lots of options here from a short nature walk on the nature trail to a 3 1/2 or 4 mile loop of the whole park. This trail from Atsion to Batsto (or Batsto to Atsion) starts with a stroll past the old Richards Mansion, an old church and graveyard, and an old schoolhouse. 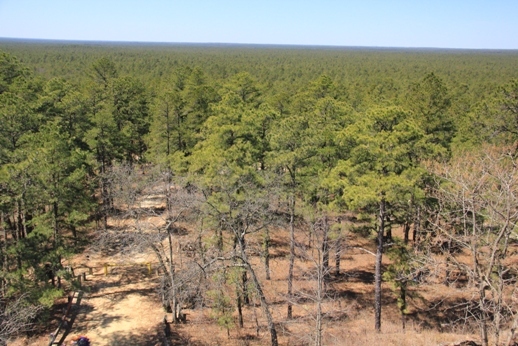 You then pass into a recently burned over area that gives you a glimpse into how the pine barrens bounce back after a fire. 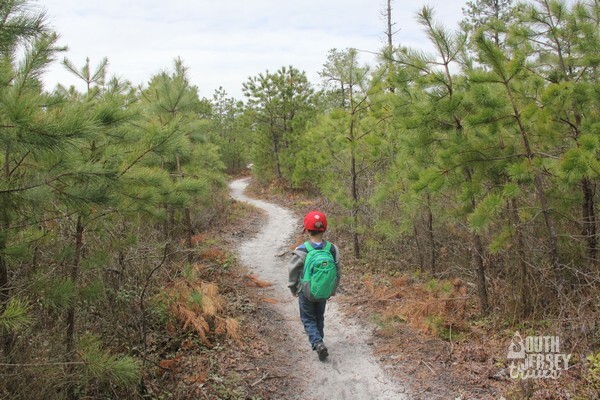 It’s then a few miles of pitch pines until you reach the Mullica River, which you will follow all the way down to the Mullica River Camp, five miles into the hike. Here (with the right gear and a permit) you can camp for the night right along the river, which makes this a great first backpacking trip (it was The Pres’s first!). In the morning, it’s 4 more miles until Batsto, with more pretty views along the way of the river and Batsto Lake. This is either a backpacking trip or a long-ish one day hike. Offers one of the most isolated stretches of trails on this list, you’re likely to really get away from civilization for a bit (summer weekend excluded)! 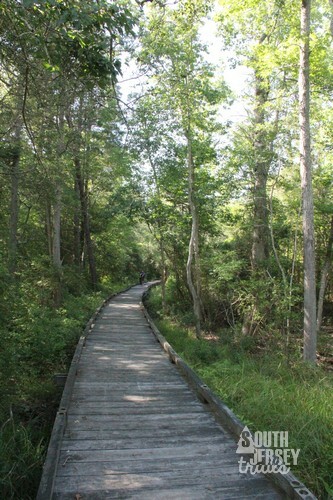 This is a great trail that starts at the ruins of a World War I munitions plant, snakes past an old graveyard, and then ends up on boardwalks through the swamps along South River (thanks Barry!). Abandoned structures + swamps = always a good idea. 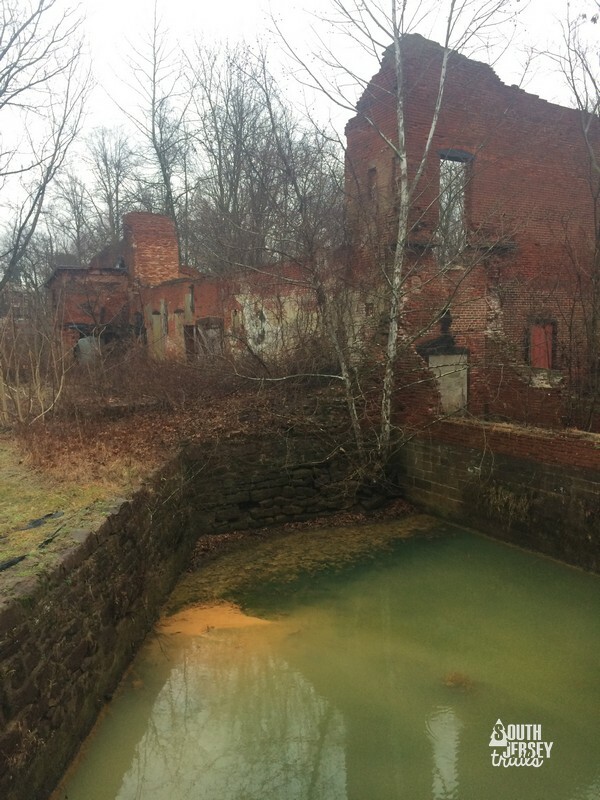 With 18 more miles of trails in this park and tons more ruins out in the woods (mostly the munitions plant, but also an old glass factory), this can be a spot to spend a whole day or a whole weekend! Don’t worry, there’s a campground here. This list is the kind of a list where, by the time I hit the tenth best trail, I’m already sharing one of my favorite hikes I’ve ever been on. Anyway, it’s a tall task to get people excited about a trail featuring both a “Mount” and “Misery”, but there is no climbing on this trail, and you’ll experience the opposite of misery! It starts at Pakim Pond, then quickly loses the crowds at you wander miles through pitch pines and swamplands. Just past halfway, you’ll skirt the edge of the Methodist camp at Mount Misery, then wanders back through more forest and meadow until it reaches its height of awesome at the old Lebanon bogs. Bring your camera, it’s pretty. 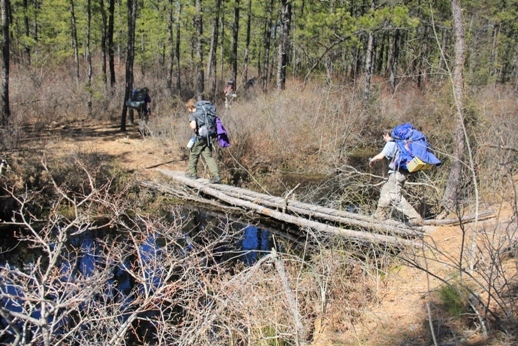 From there, its a short hike to the Cranberry Trail, which will carry you back to Pakim Pond. 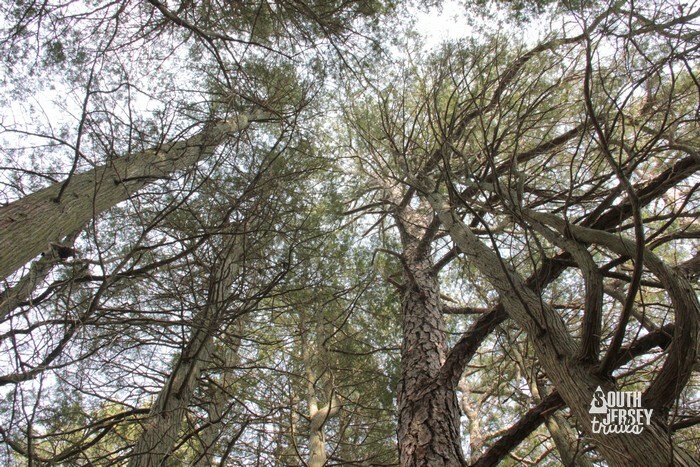 Jakes Branch Park- Beachwood, NJ – 8.6 miles of trails (various connected loops). A lot of people swear by how nice this park is, and a lot of people aren’t wrong at all. We managed to do the longest trail at 4 miles, and loved it. The highlight for me was the various pitch pine forests that are in various states of growth, as fires and controlled burns have swept over different parts of these trails at different times. Don’t miss the visitor’s center, especially the roof! You get a great view from up there, along with a glimpse of the old airship hanger at Lakehurst Naval Air Station. 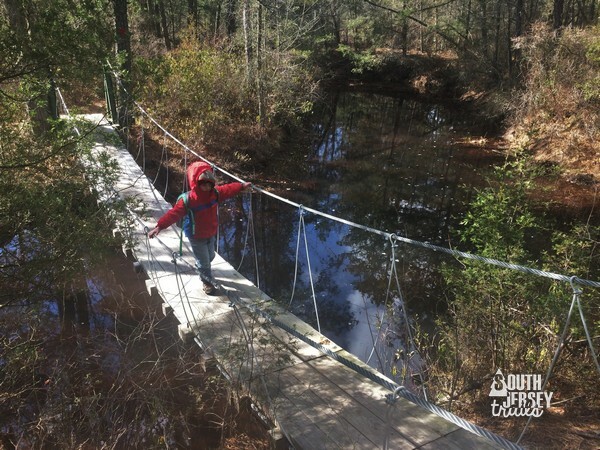 One of our favorite hikes of ever, this one follows the edges of the southern portion of Rancocas State Park (the part south of the North Branch Rancocas Creek). 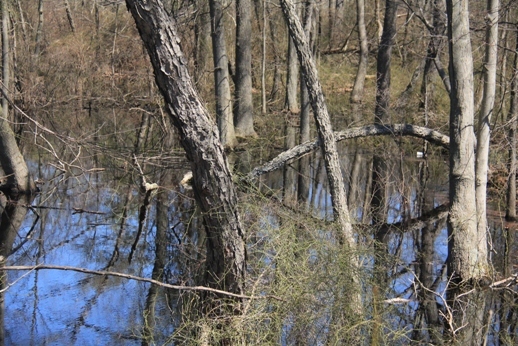 It winds its way through the woods, then follows the South Branch of Rancocas Creek to “the forks”, then heads down the North Branch of that body of water. 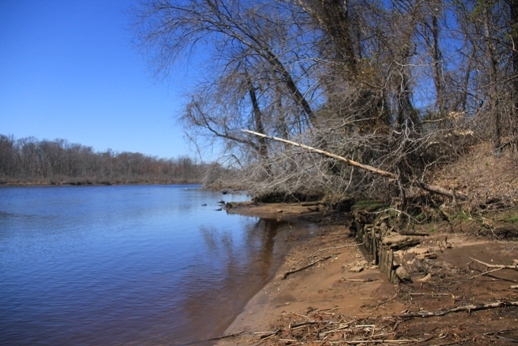 Along the way you’ll have plenty of places to spot birds, enjoy nature, or look for signs of the civilization that once flourished here in the 1700s and 1800s. 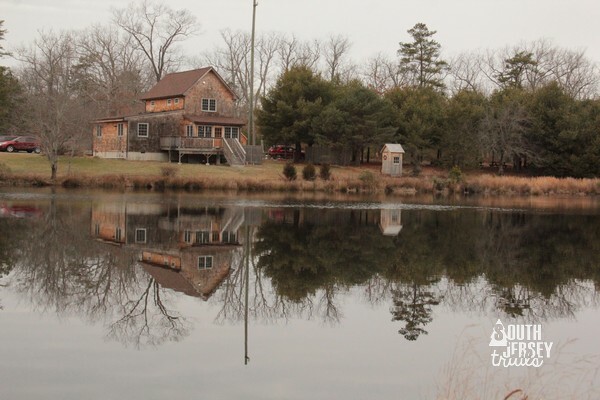 Smithville has it all – forest, swamp, a lake, ruins of an old bicycle factory, a trail that floats on pontoons on the lake, a former home to a guy who has moose trained to pull his carriage… wait what!? Seriously, all of this is true. Smithville is an amazing place to go enjoy nature AND history while meditating on how Hezekiah Smith used his fortune to train moose and to employ his own, personal brass band. Didn’t think you’d get moose on this list, did you? This one wins for the cedar swamps along the pond alone. 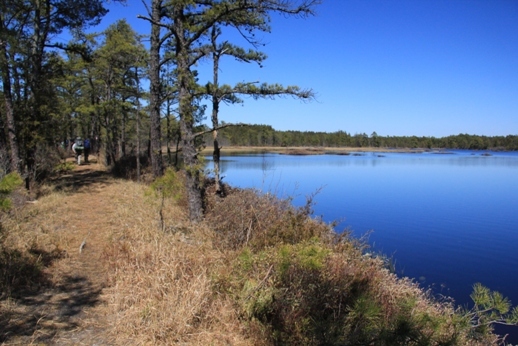 But it also has miles of beautiful pinelands, a great visitors center, and plenty of room to lengthen your hike if you want to! From what I’ve heard, I haven’t even done the best trail here yet (the 8.4 mile Macri Trail). Ocean County does such a great job with their parks. I’ve done these trails more than any other on this list, and I absolutely adore it here. The Friends of Black Run Preserve have done an awesome job of making this preserve available to public, and are improving the trail system almost continually (they added a 2 1/2 mile biking trail just two weeks ago!). 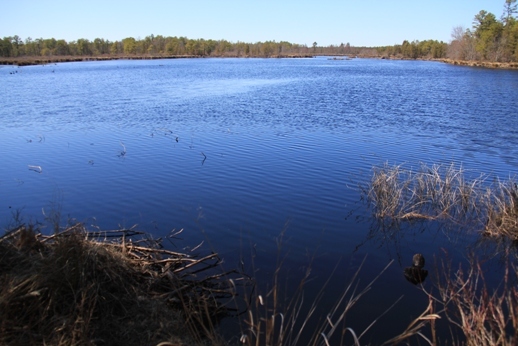 Also a great spot to bird along the old cranberry bogs, to do the orienteering/map course, to go for a run on the 5K Trail, or to go for a ride on your mountain bike. This preserve is new enough that it still feels like exploring when you come here, even if you’ve been here twenty times (which I can speak to from experience). The Ocean County Park System managed to get 3 parks onto this list, and this is my favorite of the lot. Sure, it’s short, but it snakes through the well-preserved remains of a cranberry bog operation, complete with a reconstructed nature center (stupid arson) and most of the outbuildings. 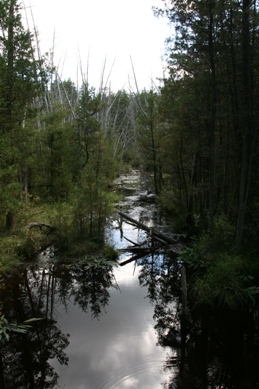 Trails go around the edges of the bogs, offering beautiful views of the water and of the birds who now hang out there. Great place to get some stunning pictures. 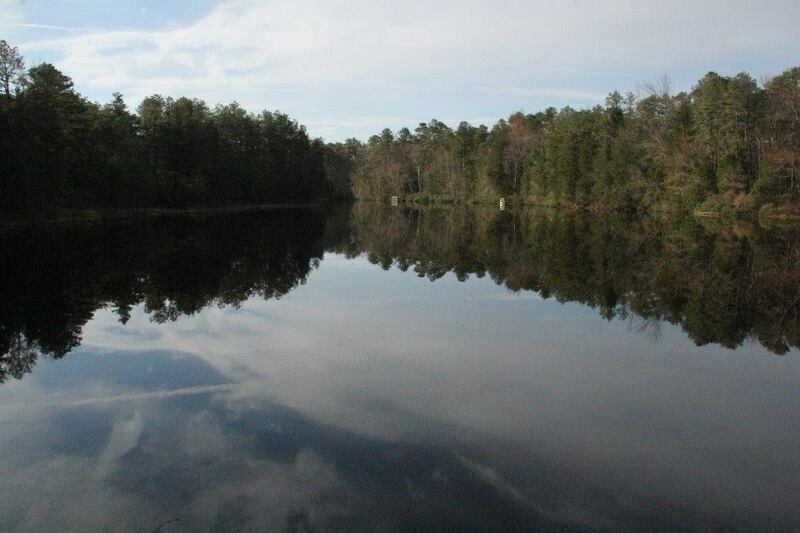 This BEAUTIFUL six mile loop is in the middle of the pines, a million miles from anywhere. 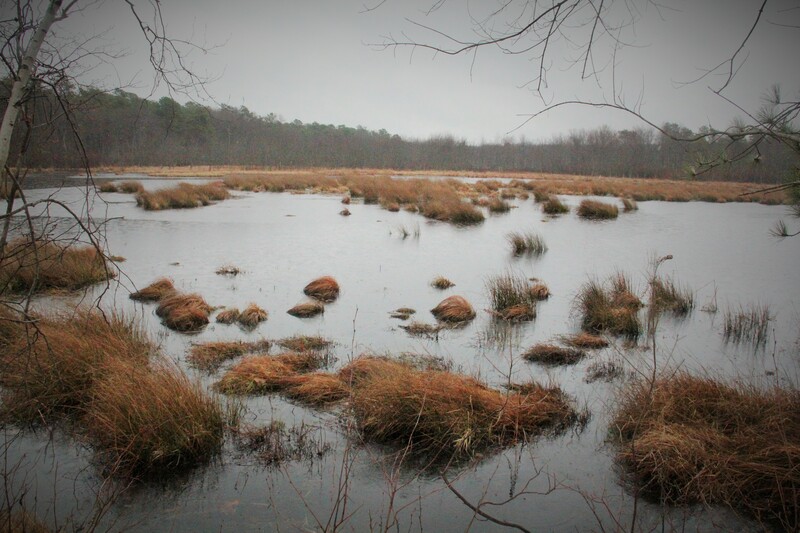 It snakes through pinelands, open meadows, and along old cranberry bogs. It’s flat through some areas, but hilly in others to offer variety. It also features the best trail bridge in the pine barrens (a suspension bridge) and two oversized chairs to relax in. 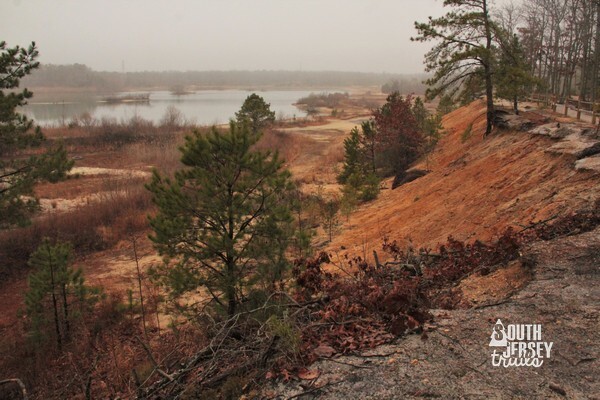 Batona Trail – Carranza to Apple Pie Hill (Wharton State Forest) – Tabernacle, NJ – 8.2 miles out-and-back. 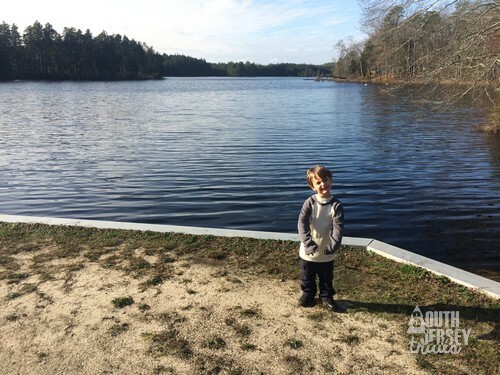 The Batona Trail is, hands down, the king of the Pine Barrens trails. 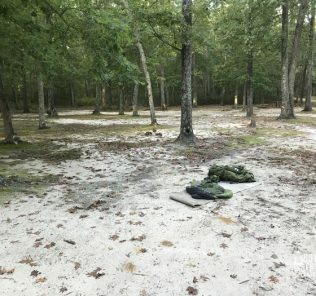 It’s the only trail in South Jersey that offers multi-day backpacking trips, and one of the few trails in the state that can be considered a long-distance trail (at just under 53 miles). This is a fantastic stretch. Starting at the Carranza Memorial, you can visit the memorial to that fallen aviation hero of Mexico Emilio Carranza. You’ll then pass through camp, follow along a swamp, and cross Skit Branch. From here, its swamps, Mount Korbar (or Tea Time Hill, fights to the death over what is the actual name can be done in the comments section, preferably in the West Side Story style knife fight), and finally up Apple Pie Hill after 4.1 miles. This is a great spot to eat lunch, then make sure to climb the fire tower here. From the top, you can see Philadelphia and Atlantic City, as well a massive chunk of the pine barrens. One of the best spots in South Jersey. Then its back down the tower, and back the way that you came. NOTE – As of Labor Day weekend 2016, the fire tower is only open when manned. Call ahead to the NJ Forest Fire Service Division B Headquarters at (609) 726-9010 to ask if the tower is open, and thus avoid disappointment. Some day, I will eat apple pie here. What? Batona Trail takes the top two spots? It sure does. This one requires a bit of planning, as you’ll need to stash cars or each side or arrange a pickup at the end (or do 16 miles in a day), but its totally worth it, and has been my absolute favorite hike in South Jersey since I hiked it the week after it officially opened (sadly, I missed the official opening. I heard there were cupcakes). You start with the Apple Pie Hill fire tower, then cross almost immediately into the Parker Preserve. 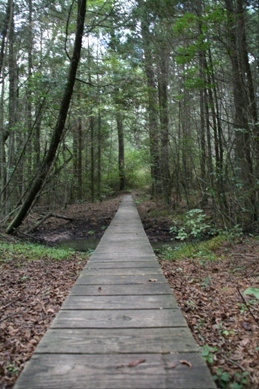 The Batona is separate from the other four trails in the Parker Preserve, so its often less populated than the other Parker Preserve trails. The bogs here aren’t ringed with old roads, which makes you think you are in the middle of nowhere. 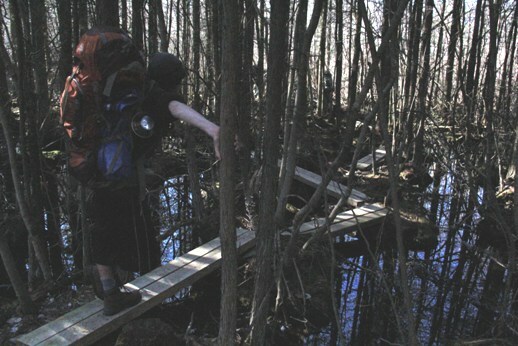 There are tons of great little bridges over streams and old ditches, plenty of stretches of pine forest, and the end is a hop from island to island (helped by some connecting boards) through a little swamp before exiting onto Route 72. It’s totally awesome. 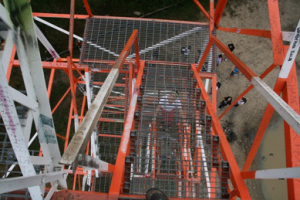 REPEAT NOTE – As of Labor Day weekend 2016, the fire tower is only open when manned. Call ahead to the NJ Forest Fire Service Division B Headquarters at (609) 726-9010 to ask if the tower is open, and thus avoid disappointment. 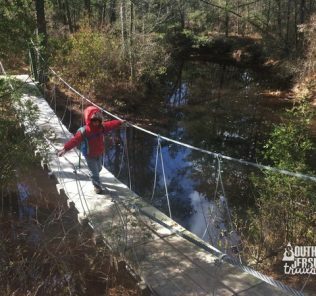 So those are 14 of my favorite hikes in the pine barrens! What are your favorite hikes out there? I’m officially leaving a comment, I *know* more than eight people have read your blog because I’ve forwarded links to your site to dozens of people! You have an awesome resource for hikers and I wanted you to know we appreciate it. Based on your notes, I hiked Parker Preserve and plan a Batona Trail hike as soon as the weather breaks! Thanks Paul! 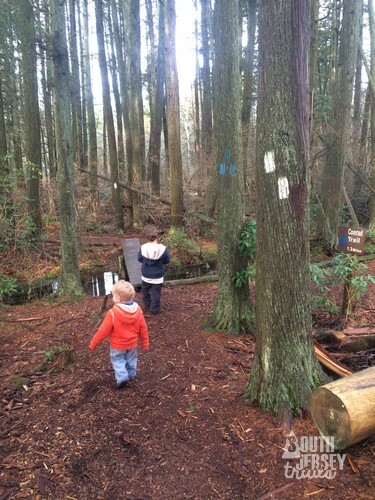 Glad you’re getting some use out of it, and you’ll LOVE the Batona Trail. You are correct, our number of visitors is a *little* higher than eight. We’ve had over 150,000 people visit the site in four years, which is a little scary if I think about it too much. Enjoyable read. I’m a hiker and used to walk a bit in the pines when I lived near by…(1960’s). I appreciate all of your posts. I’m a newer reader. I think I came in last fall. 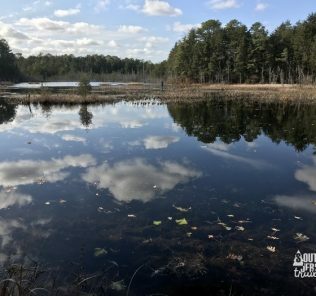 You are an advocate for our cherished Pine Barrens. You ought to compile your posts and pictures and publish a book! In the meantime, I’m going to keep reading and I plan to hit some of these trails this summer! Thanks Libby, glad to hear you’re enjoying the blog! I would love to do a book someday (writing a book is on the life list), I just have no idea how to even begin making something like that happen. Maybe someday! I love this site. I was so happy to meet you and see your son at the Lines on the Pines Sunday. Historic Smithville is a definite standout for me as well; I can never get enough of the pontoon portion of the Green Trail! And you should definitely check out the full Macri/Penn’s Hill Trail (whatever name they are using this year…hee hee!) at Wells Mills. You won’t be sorry, but if you go in the summer — prepare to use plenty of bug repellent; there is one section (about 2 miles) of the trail which is more out “in the open”, and the flies will swarm/attack like there’s no tomorrow! It’s been a while since I’ve been to Black Run Preserve…the new bike trail sounds interesting! Like many other posters, I thank you for your blog — as you can see, even though I’ve heard of most of the places you go, there always seems to be one or two that I haven’t heard of, and provides me with new places to check out! Keep up the great work! Jim – if you’ve been to 13 of 14 of them, it must be a solid list! Thank you for reading all these and always leaving such great comments. I’m really excited to do the Penn’s Hill Trail (why do they change names on me? ), hoping to find a day this Spring where The Pres seems rested up enough for an eight mile hike. Black Run is always making itself better. The bike trail is great, and I love the compass course that was put in. Mike – Congratulations on 4 years! Such a great list. 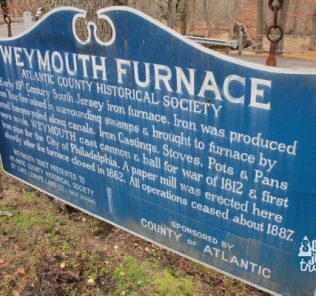 Living in North Jersey, I haven’t been down there for quite some time but I hope to return some day. 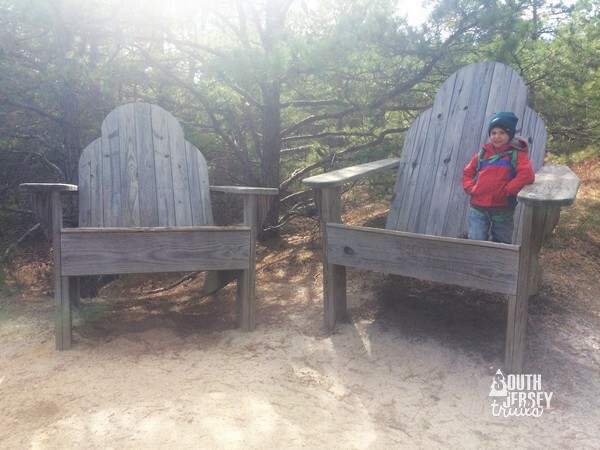 We used to camp at Bass River SP when my kids were little. Keep blogging! We Jersians need to share the beauty of New Jersey with everyone. One of my favorites is the trail along Batsto lake leaving from the village. Eventually you pick up the Batona trail and loop back. Couple of scenic snack spots. Thanks for doing this for the past few years. I’ve learned a lot and pretty much agree with you on these top 14. I have been hiking the yellow trail with a detour on the white trail around the Bald Eagle Reservoir in the Franklin Parker Preserve (about 6.5 miles) and am starting to like that one too. 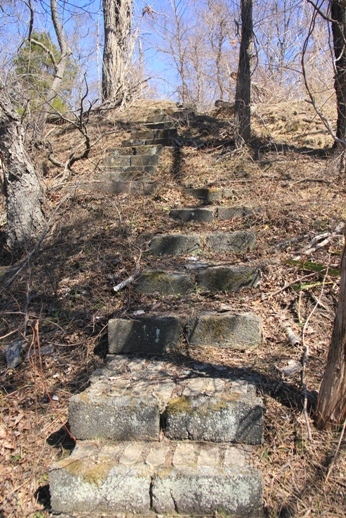 Just walked the “New Section” of the Batona Trail yesterday. It was a very interesting and lovely section. Sooo much better than the old section that took you down paved roads and behind houses with barking dogs. Could use a clean-up in a couple of spots where there was some old material dumped from years ago. That old road walk was the absolute worst. So much pain with a backpack on your back when you hit that stretch. Heh — I remember that section! I mean, did one feel like he/she was trespassing on someone’s property or what?? And the barking dogs looked like they were ready to maul hikers if they were ever able to break free from their chains! I’m in the cool 8+ now! I will teach summer school Mon. thru Thurs. this summer and was looking for hikes to enjoy on Fridays. Your blog is FANTASTIC! for me. 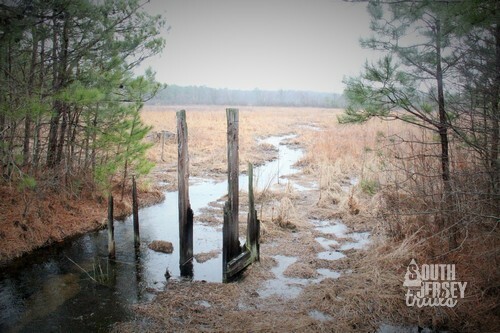 I live in Salem County, NJ and need great hikes not too far away. Thank you for all your notes and pictures. I love it. It’s going to help me out a great deal when planning my Friday (and maybe overnight) adventures this summer. Thanks! I have only been following you for a few months, but wanted to congratulate you on such a great accomplishment! 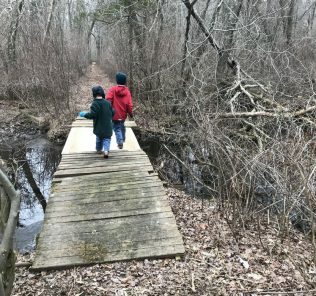 This is a wonderful resource for us south Jersey hikers, and my husband and I are slowly working our way through all of your recommendations and those of your (many) readers! Than you for all you do, and keep on trekking!